New bikeway bridge over Martis Creek. Phase 3B of the Truckee River Legacy Trail extension is starting to look like a bike trail. The extension work began last year from the east end of the paved trail, past the Waste water Treatment Plant and up the bluffs to Glenshire Drive. Most of the trail bed looks complete and ready for paving. One exception is the switchbacks being built on the Glenshire bluffs, overlooking the Truckee River. The work is slow going in this very rocky section. 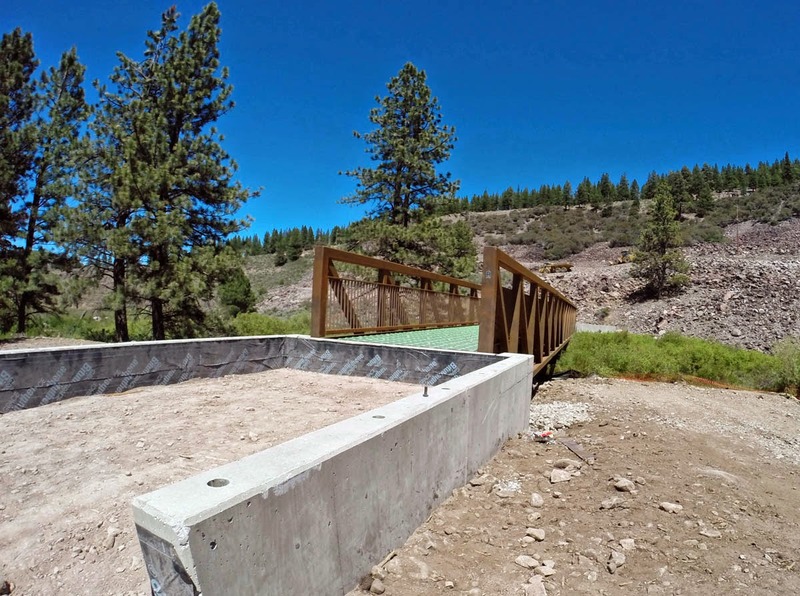 The bridge over Martis Creek is in place. This new Martis Creek Bridge is a large steel structure that is wide enough for service vehicles. 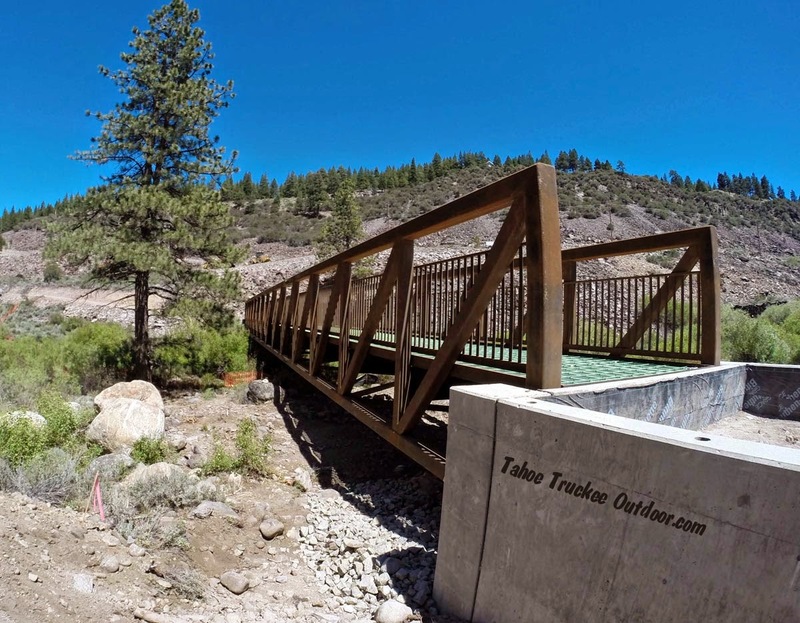 Completion of the Truckee River Legacy Trail to Glenshire will be a recreation jewel for the Town of Truckee. The trail has been on the Town's General Plan for 19 years. When this portion of trail is completed, the Town has plans to extend the trail westerly to Donner Lake. The recently passed "Measure R" sales tax increase should keep the trail building activities moving forward for several more years. The current phase of construction is estimated to cost $4.6 million dollars. Funding came from the California River Parkway grant program.